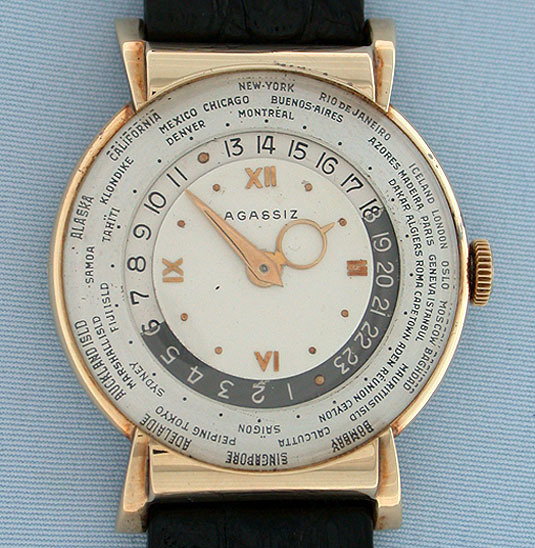 Fine and scarce Asassiz world time vintage 14K yellow gold wrist watch circa 1945. 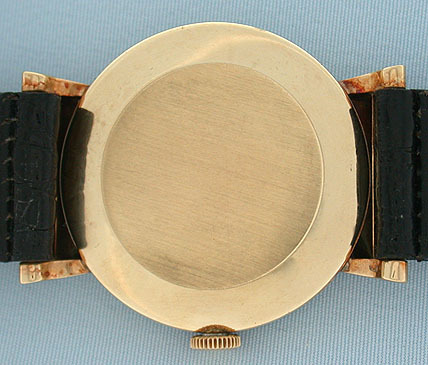 Original three-piece dial with moveable world time ring. 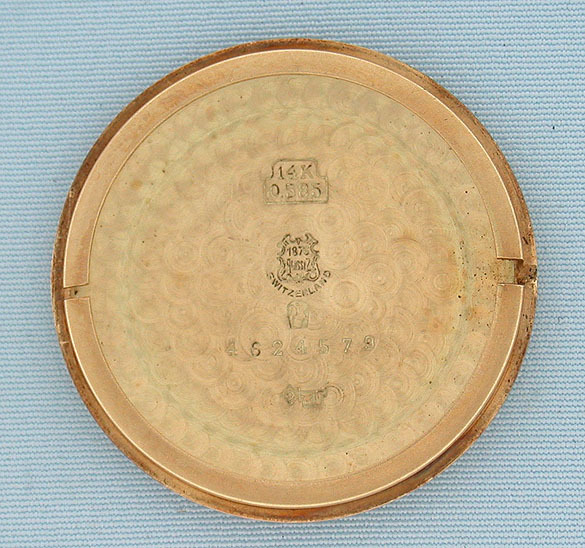 Distinctive case with downward sloping lugs. Made for Agassiz by Louis Cottier. Nickel 17 jewel adjusted movement. Handsome and distinctive. 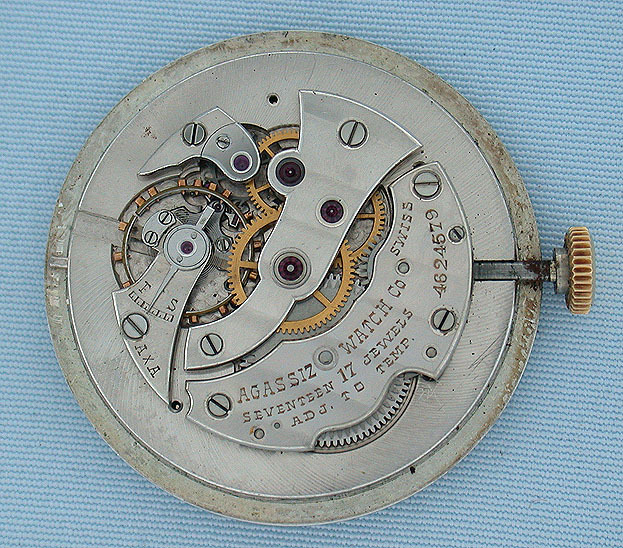 Louis Cottier, a celebrated watchmaker from Geneva, invented and patented this design. He made world time watches for Geneva's most famous firms including Patek Philippe, Rolex, Vacheron & Constantin, and Agassiz. His production totaled only 455 movements for world time pocket watches, wristwatches, and clocks, produced at an average rate of 13 pieces per year. His work is easily recognizable by the distinctive shape of the hour hand.